April 15th, 2016 marked the last day I will ever put on that number 3 jersey to represent Florida State beach volleyball at home. Senior Day naturally brings a lot of emotions into play, but once the day was done and reality set in, I was emotional. Hearing my name being called on the speaker as a senior competing at home for the last time suddenly became real. Nothing could have prepared us for that moment of realization, but we pushed our emotions aside and finished the day with a win. This past weekend we also added to our all-time undefeated home winning streak pushing the mark to 20-0 in front of the hometown crowd! I have had such an amazing four years here at Florida State competing on our home courts but there are still more games to be played. This weekend we travel to Emerson, Georgia to compete in the inaugural CCSA Conference Championship. This is extremely exciting for our team because we have not had the chance to play for a conference title in the years past. As a senior about to graduate in a week, I am so grateful to have been able to witness collegiate beach volleyball make so many changes. Although conference championships are normal to other teams, this is new to our sport. Our team is more than ready to compete this weekend. We have put so much hard work and dedication into every single practice since day one back in August, and this weekend is our time to showcase it. This quote really spoke to our team. There’s always so much hype that comes with post-season games, like playing for a conference and national championship, and sometimes people lose sight of the bigger picture – to compete and have fun. We often find ourselves getting so worked up about winning we forget to take it one game at a time. Sierra’s quote really helped us realize that its not just about making it to the big game, it’s about finishing that big game. 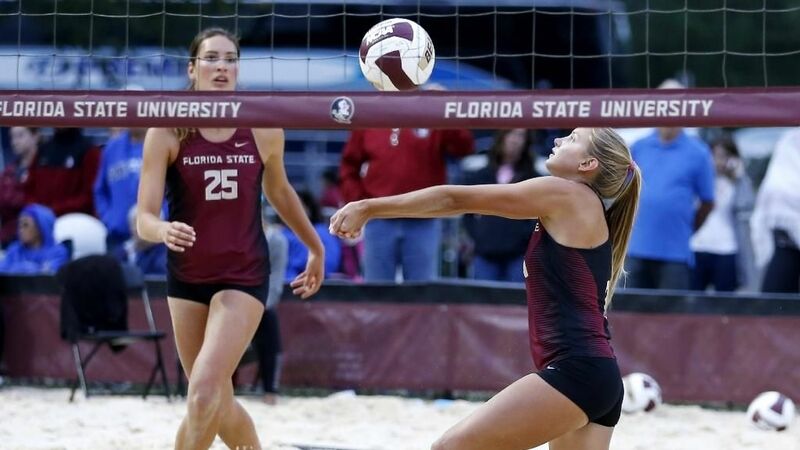 We all love the sport of beach volleyball and that is why we are at Florida State. So much love and support is given to us through this university and we are ready to show them that how much it fuels us. I believe in my team, and I am more than ready to lay it all on the line these next three weeks.